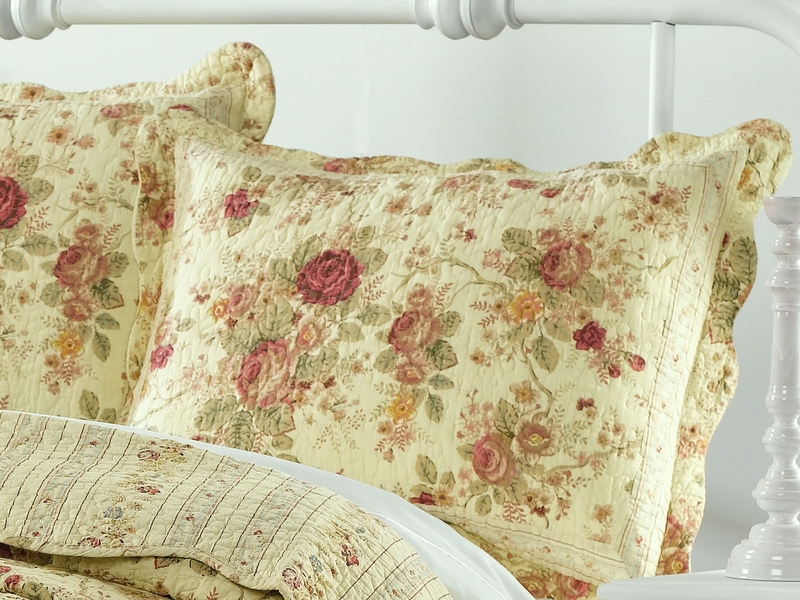 Step back in time with this vintage-inspired quilt set with beautiful garden roses on a pale cream-yellow background. 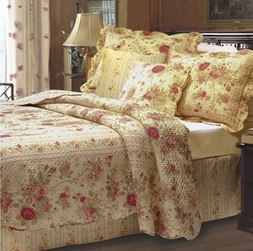 Reverses to a coordinated stripe. 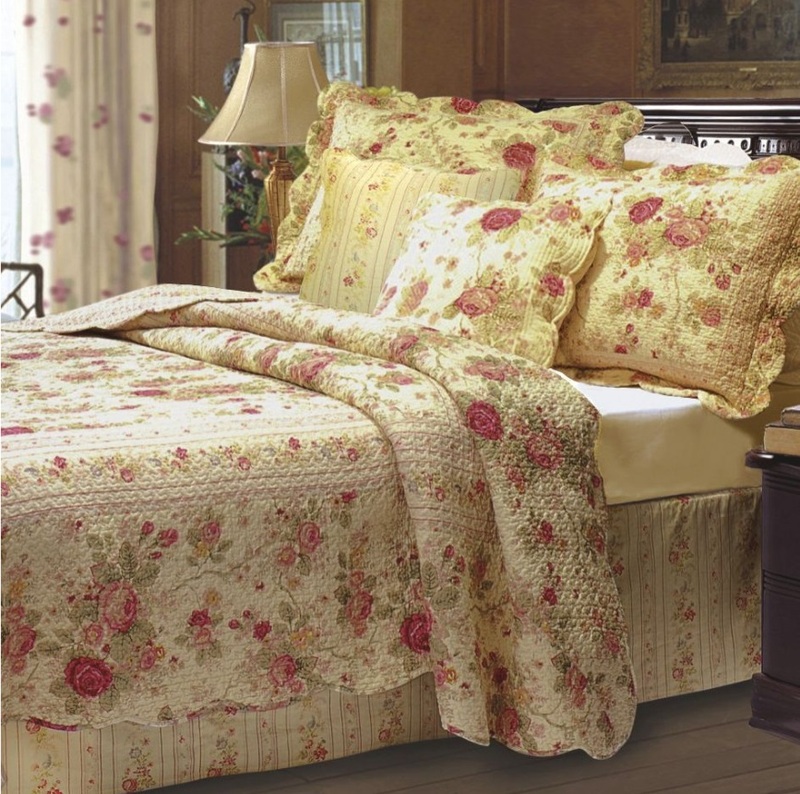 Made of 100% cotton, set includes quilt + 2 shams (one sham with twin set).